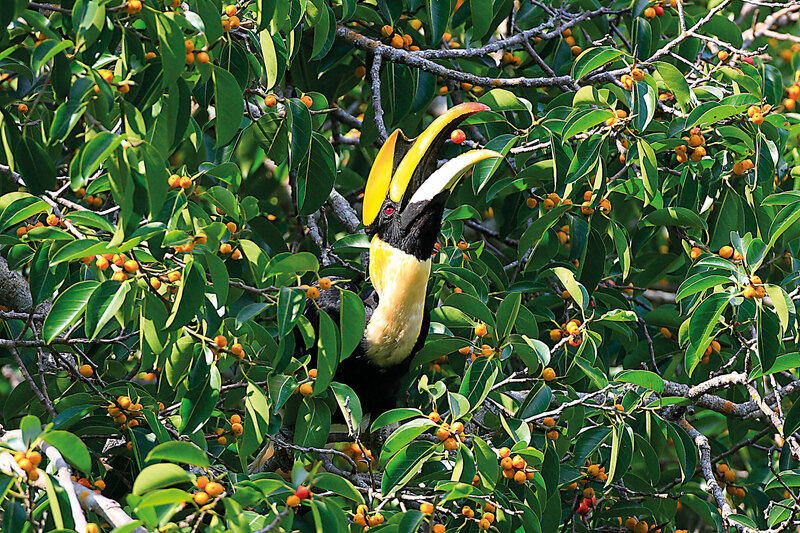 There are at least 55 species of nest-sealing hornbills, plus another two species that are classified as ground hornbills, making a total of 57 hornbill species in the world. Hornbills are found in various habitats across sub-Saharan Africa and Asia, from savanna grasslands to tropical evergreen forests. They are not to be confused with the large-billed toucans of South America, which are a type of barbet. 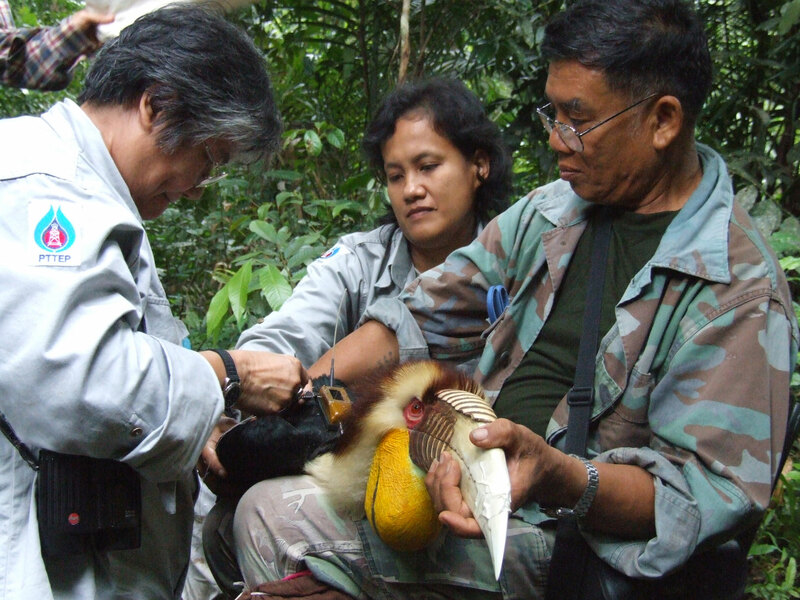 Tropical areas of Asia provide habitats for 32 species of hornbills and, of them, 13 species are found in Thailand.